Summer Sundays in Berlin are beautiful, but I am somehow restless these days, always looking to see more and more new things outside the city. Because in the last weeks I had enough time to see almost all exhibitions and newest cake and coffee places in town, why not trying a new adventure from the series 100 Places to See in Germany? With a Brandenburg Ticket in my pocket I headed to Rheinsberg. Let's the discovery start! This small and green coloured locality is situated 2 hours away from Berlin. The train changed directions a couple of times, and I had time to say hallo again to Neuruppin, another recommended destination for those looking for a quiet Sunday afternoon. Did I already revealed the happy ending of my stay in Rheinsberg? Haven't say the whole story yet. After I pick up the destination for the Sunday travel, I did my documentation homework, but apparently there were some information that I missed: the long history of ceramics. The first factory was created in 1762 and since then it continued to produce various colourful plates and cups. I've read all the history in the cups of tea and coffee presented at the Keramikhaus, a shop open daily close to the Carstens porcelain factory. Carstens introduced in Germany the tea service in 1901, almost 20 years after the UK. Its specific mark is the deep black with various email decorations. Also characteristic for the local porcelain is a certain marble appearance, that gives a certain weight to any small cup of tea. A couple of minutes later, at the Tourist Information Center, I was admiring other ceramic works, this time done some local artists in glass and marble porcelain. 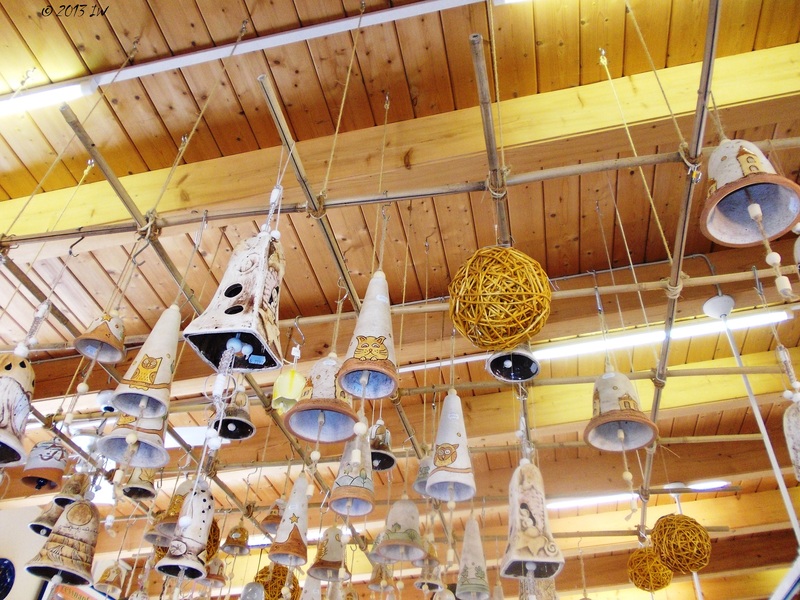 A similar exhibition was also available at the small Museum of Ceramics, situated close to an open market where a big fair of pottery will take place mid-October. For the next hour, I continued the exploration of small streets and had a look at the architecture of the places and checked some of the local menus. Rheinsberg reminded me a lot of Potsdam - no wonder as the famous Friedrich left some architectural traces here too - but less touristy. 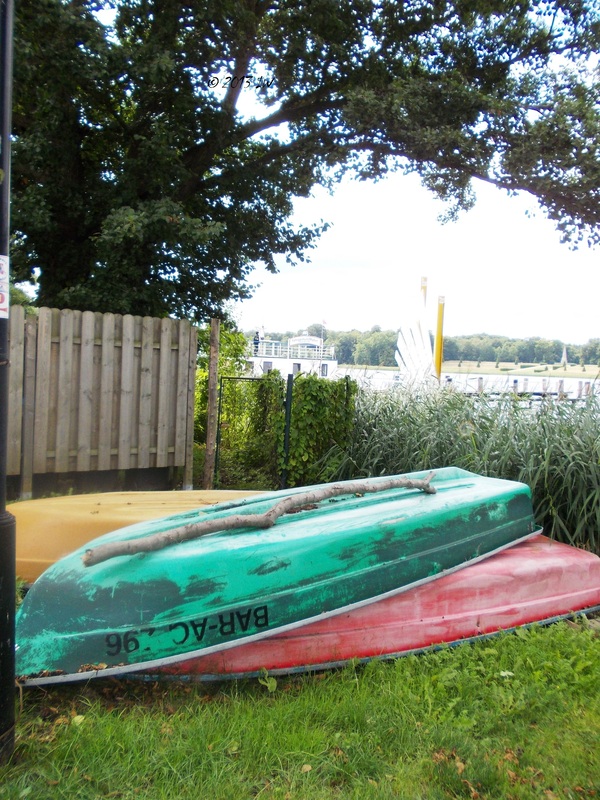 One of the reasons of the relaxed ambiance can be that it is not that close to Berlin, and the connections by train are limited to the summer time. The train that brought us there will stop operating from mid-October till the next spring. However, the accommodation offer is richer meaning that people keep coming here during the winter too, with all categories of hotels plus a lot of private rooms offered. There are also a lot of restaurants and icecream parlors - one of them offer a different type of icecream each day of the year, among the previous flavours being mayonnaise, strawberry/basilicum. The restaurants are serving a lot of fish-based meals - fishing is a common activity in the area. One of the famous restaurants here bears the name of Kurt Tucholsky, the rebel author who apparently was almost everywhere in Poland and Germany, including in a small town at the Danube where he was an apprentice police chief for a couple of months. A Tucholsky literature museum can be visited at the Castle, my next and most pleasant stop of my destination. The most pleasant experience I had by far in Rheinsberg was the long walk around the lake visiting various domains of the castle. Initially the property of Friedrich the Great, that was intimately involved in the planning of the domain, especially the gardens, it was later transferred to his brother Henryk, who continued the work and brought some of his architectural ideas. Nowadays, the castle looks as a perfect Romantic retreat: a big castle in the middle of the lake, with a baroque garden and boats, with a wonderful green wild walking area through the woods, where you can find ruins of Temples and an obelisque with inscriptions in French in the memory of the 18th century wars. My next 5 km of walk and around 2 hours of my time were spent walking around Grienericksee, breathing deep the silence and the fresh air of the woods, with only short stops to take some pictures and gulp some water. Because the access to the castle is not possible by bikes - the coblestones from the yard and garden are very fine and can be seriously damaged by the rolling tires - I did not care too much to watch my path. We crossed path with many groups of tourists, including a family with children looking for a place to camp, but did not feel like the forest is very busy, as it happens sometimes in Berlin where I feel like somewhere close to a shopping center. I had the luck of a perfect weather, despite some threatening clouds at the horizon, and the perfect time of the year for a long walk in the woods. On the way back to Berlin, I felt a bit tired, but carrying on a lot of good energy that may help me to resist the urban life for another couple of days. 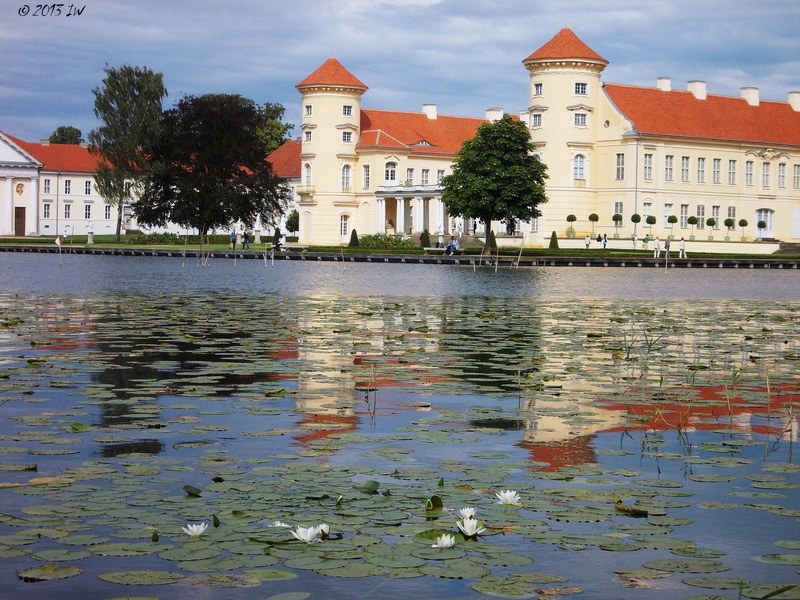 The next time I don't have scheduled travel plans, I will return to Rheinsberg. It has the simplicity that I need for a perfectly relaxing time.